... none of which is true for looking at a smartphone. Same thing in Burlington. Makes no sense. How much cost or effort could it have possibly been to maintain these things. At Oakville, one of the displays is half taken up with a job ad for Timmy's. There's a Timmy's right there. Twenty to thirty feet away. Facing the sign. Lots of sign space on the side of the doughnut shop. I don't use a smart phone. I think this is happening because young, urban 20 somethings are the ones convincing the policy makers that the world now is ALL online. If a few of these people just got out of their King and Bay towers, maybe they would see that the real world is actually quite a different place! 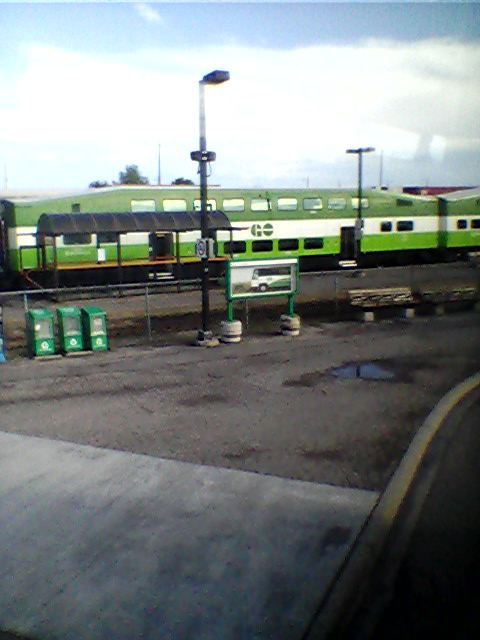 You can print the schedules yourself from www.gotransit.com. Make sure you get the PDF schedules, and don't check the online ones via the date picker. This is the only way you can plan your daily commute to work now. Even the digital signage at the stations only show the actual scheduled trips for the current day. You can thank RTSI (Real Time Scheduling Info), it's creator (an I&IT solution manager) for this inconvenience.